Allister here standing in for Allison this week. I have a miniature review of using the Apple Watch Series 2 for swim workouts, I’ll quickly review 26 Mac Apps you didn’t know you already had, Allison will pop by with two more videos from the CSUN Assistive Technology Conference, I’ll make some recommendations for podcasts you might want to listen to that aren’t about technology, Terry delivers on his callout from Allison with a review of GhostReader text to speech software, and I’ll finish up with a review of the BeatsX Bluetooth earbuds with Apple W1 chip. Hi this is Allister Jenks standing in for Allison Sheridan of the NosillaCast Mac Podcast, hosted at Podfeet.com, a technology geek podcast with an EVER so slight Macintosh bias. Today is Sunday March 26th, 2017 and this is show number 620. This is where I would describe to you the awesome guest I interviewed for Chit Chat Across the Pond, but this time around the scheduling gods were not in my corner and I have been unable to bring you anyone. To try to make up for that, I’d like to bring to your attention to a TEDx video I came across recently which combines some recent buzz from my place of work on Design Thinking with one of Allison’s favourite topics – accessibility for the disabled. In this TEDx MidAtlantic talk, Elise Roy talks about losing her hearing as a child and how she now considers her disability to be the best thing that’s ever happened to her. She describes Design Thinking and how it can enable innovation that not only benefits the disabled but everyone. The video is just over thirteen minutes long and well worth your time. 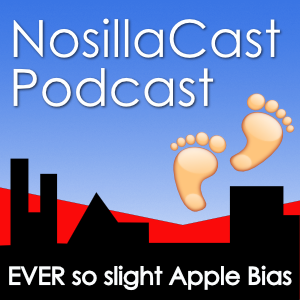 In this week’s show: I have a miniature review of using the Apple Watch Series 2 for swim workouts, I’ll quickly review 26 Mac Apps you didn’t know you already had, Allison will pop by with two more videos from the CSUN Assistive Technology Conference, I’ll make some recommendations for podcasts you might want to listen to that *aren’t* about technology, Terry delivers on his callout from Allison with a review of GhostReader text to speech software, and I’ll finish up with a review of the BeatsX Bluetooth earbuds with Apple W1 chip. So… let’s get started. That’s going to wind this up for this week. If you’d like to find me online, simply head over to zkarj.me or follow me on Twitter @zkarj. Bart Busschots will be along next week to hold the fort, before Allison and Steve return the following week. If you want to send in your Dumb Questions, comments and suggestions – you can email Allison at allison@podfeet.com, follow her on Twitter @podfeet. Check out the NosillaCast Google Plus Community and our Facebook group. If you want to join in the fun of the live show, head on over to podfeet.com/live on two weeks from now on Sunday night at 5pm Pacific Time and join the friendly and enthusiastic NosillaCastaways. Thanks for listening, and stay subscribed.